Madison AL knows they can rely on the chiropractic team at Functional Chiropractic to relieve pains and restore their health! Dr. Porter and his team of chiropractors have been working with the Madison AL community for years, and are proud to provide services that families, athletes, adults and children can trust. If you’ve suffered from chronic pains and aches, schedule an appointment with Dr. Porter today! Dr. Porter suffered from chronic allergies and pains himself, and was determined to go back to school and learn more about how he could provide this kind of chiropractic care to others. Upper Cervical Care in Madison AL is provided by the experts at Functional Chiropractic! Dr. Porter and his team of chiropractors are proud to offer treatments that provide relief from a variety of pains. To begin, our team examines the area of pain to determine the root cause and the best treatment. 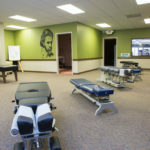 We’ll always discuss options for treatment with you before moving forward to ensure that you feel comfortable with our chiropractic treatments. Our top priority is to provide an environment where each patient can feel comfortable and a communication system that each patient can feel confident in. 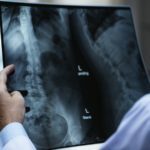 Many of our chiropractors have undergone chiropractic care themselves and thus understand the best practices for providing similar service for others. Upper Cervical Care is a specific type of chiropractic care that focuses on the upper neck region. This region contains a large amount of nerves and blood vessels that connect the brain and upper torso which can cause a series of pains in individuals. Many issues, such as chronic headaches, are often the result of an upper cervical issue that can be resolved by upper cervical chiropractic care. 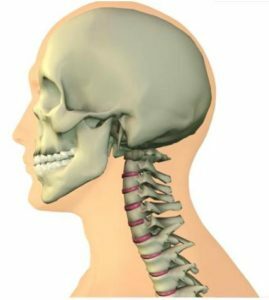 This type of chiropractic care focuses on restoring the proper structural balance to the upper neck to decrease irritation and improve the communication through the upper neck region. Gentle, upper neck treatments from the chiropractors at Functional Chiropractic help to restore balance to the upper back and neck and allow individuals to live a more active, pain-free life! To learn why Dr. Porter and his team is the chiropractor Madison AL trusts, schedule an appointment today! 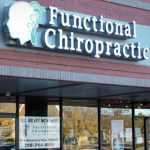 If you’re looking for a chiropractor in Madison AL, contact Functional Chiropractic! Our upper cervical chiropractic care serves people in the Madison Alabama area who experience a wide variety of pains and strains that modern medicine can’t resolve. Athletes, adults who sit down for a majority of the day at work, pregnant women, and individuals with chronic aches visit our office to experience the benefits of our chiropractic care! Dr. Porter and the team at Functional Chiropractic are proud to be known as the chiropractor Madison AL can trust. Call us today to schedule an appointment and to learn more about how our chiropractic services can help you!